My heart breaks every time I hear of couples struggling to have children, particularly when they blame themselves. One lady I spoke to recently told me she knows it is her fault she hasn’t fallen pregnant yet because her family say, she drinks too much coffee. It resurrected feelings of when a ‘friend’ told me I wasn’t going to fall for a baby any time soon as I’m always stressed with work. I remember feeling totally devastated, and assumed she knew best since it had only taken her two months to fall. On reflection I should have told this ‘friend’ the same as I advised the lovely lady with her ‘coffee issues’ to tell her family… It starts with ‘F’ and ends with ‘Off’. Something I have learned is never to judge others based on how you think life should pan out. It’s natural, of course, to ask if someone has children, are in a relationship, and so on, but consider it just as natural to leave the conversation there. Little are you to know the person you’re questioning about the whys and wherefores of their personal business may have had a history of miscarriages, or single for years and becoming desperate to find love, likewise they may be undergoing fertility treatment and anxious to their stomach about the outcome, or suffered post-natal depression to the point they fear conceiving the sibling they ‘just have to give’ their only child. On the other hand, children and relationships may be the furthest thing from their mind; they may not want either but are fed-up with the raised eyebrows they receive simply because their choice isn’t correlative with the status quo. [This blog title] ‘What Time Do You Make It?’ is relative to our personal life clocks and the fact they each tick at a different speed. With every year that passes, life gets busier and time moves faster, and with this fast-paced way of living we tend to either want everything quicker or get so lost in the moment that suddenly ten years have passed, and you’re nowhere near to completing everything you assumed by now you would have. But I’ve learned that life pans out as it’s meant to, W H E N it’s supposed to. We can help to create our own destinies but for some things, such as trying for children, we can only do so much. That said, I will never give the worst advice to someone trying to conceive, ‘just relax and it will happen.’ How can you relax when your biological clock has ticked and all you can think about is having your own bundle? My advice is to keep focused and positive that it W I L L happen, even in moments when you feel like giving up. Remember, you’re not making a cup of tea here, we’re talking about creating a new human- a miracle. Meanwhile, please be mindful we are all fighting our own battles and questioning someone’s motives on their life choices can make far more impact then you realise. Just stay blessed for what Y O U have and focused on what you H O P E will come of your journey. 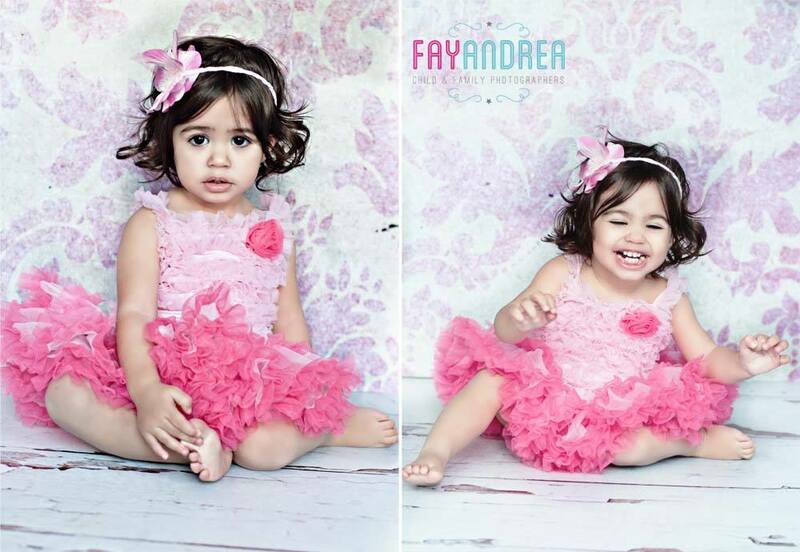 Our editorial style was always intended to set FayAndrea apart from other child photographers, I guess we just never anticipated to attract some of the UK’s leading child models and agencies who we have collaborated with on their model portfolio updates. Since launching our editorial portfolios, we have seen many of our clients signed by agencies, as well as relaunch stagnant careers. 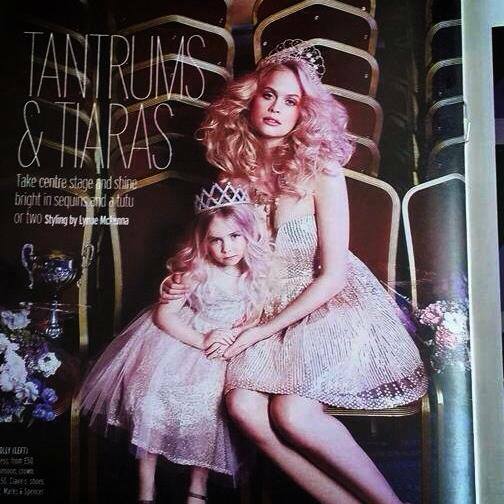 Our parents have shared great news with us on advertorials and editorials their children have landed from their FayAndrea images, names of which have included Gucci, Childrensalon, Kenzo, Burberry, John Lewis, Zara Kids, The White Company, Mothercare, Marks & Spencer, Babiekins Magazine and Next. Which model/ talent agencies do you recommend? Does my child have what it takes? We can give our opinion on how photogenic we believe your child is but we cannot promise a model agency will sign them. Every agency has a recruitment-criteria and this may vary from time-to-time based on the industry requirements and the type of children getting work. For child modelling it’s important to consider far more than just whether your child is classically good-looking when determining whether they can model. Personality also plays a crucial part in their appeal so it’s important they appear likeable, confident and co-operative. Be aware child modelling takes a lot of time and dedication. Once you are signed, agencies will expect you to be available for castings at the drop of a hat, which can mean long days, expensive travel with no guarantee of a booking at the other end. Discuss this prospect with your child and ensure you are both happy before pursuing the opportunity. Always research the agency thoroughly by using the Internet to search forums and social networking posts to read parents feedback and experiences. Bear in mind the amount of children within your child’s age bracket currently on the agency’s books, and take note of the types of jobs they are getting their models. Quantity is really important because there are only a certain amount of jobs to go around, so the more children, the more internal competition your child will have. Child modelling agencies can charge a fee to list models on their books, however, it’s important to evaluate the cost vs income reimbursement. It has been way too long since I last blogged but I’m here now and so happy to relay all of our latest news. The faces and moments we have captured over the last eight months have been amazing and kept us feeling, as always, very blessed to do what we do. www.fayandreaweddings.co.uk is now fully off the ground! After being completely booked for this Summer, we are bursting with new images to share with everyone and are overwhelmed with the phenomenal reaction to our work. Considering weddings were never part of Andrea and I’s business plan, we both absolutely love doing them and are so excited for up-and-coming nuptials we have booked in! For pending Brides and Grooms interested in booking us, please contact us via our website for a quote. We do not offer packages, everything is priced on a personal basis dependent on what you are after. We’re showing off a little with the ‘As Seen in Vogue and Harpers Bazaar’ logos, admittedly, but if the shoe fits, right?! All of the information regarding packages and prices can be found on our website, as well as a huge gallery of images to show our style. Andrea and I have worked really hard on perfecting our product presentation and now we’re finally there! Our photo albums and USBs (bespoke made in Italy) have made a huge impact and as a result, we are advising all of our clients to utilise our print services and ensure the quality of their images is truly reflected in the after-product. Finally, come November, FayAndrea Photography will have a little Assistant joining the company- yes, I (Fay) am going to be a Mummy, and Andrea and I are really loving capturing some pictures of the Bump, as well as planning the maternity and newborn photoshoot!! Perks of the job and all that! That moment when someone speaks and you want to reply with a really well thought out, unaggressive, yet totally offensive response, but instead you fall silent. I blame the hormones (always the culprit) and my confidence that seemed to dwindle rapidly after giving birth for not speaking up and defending my fellow c-section Mamas. 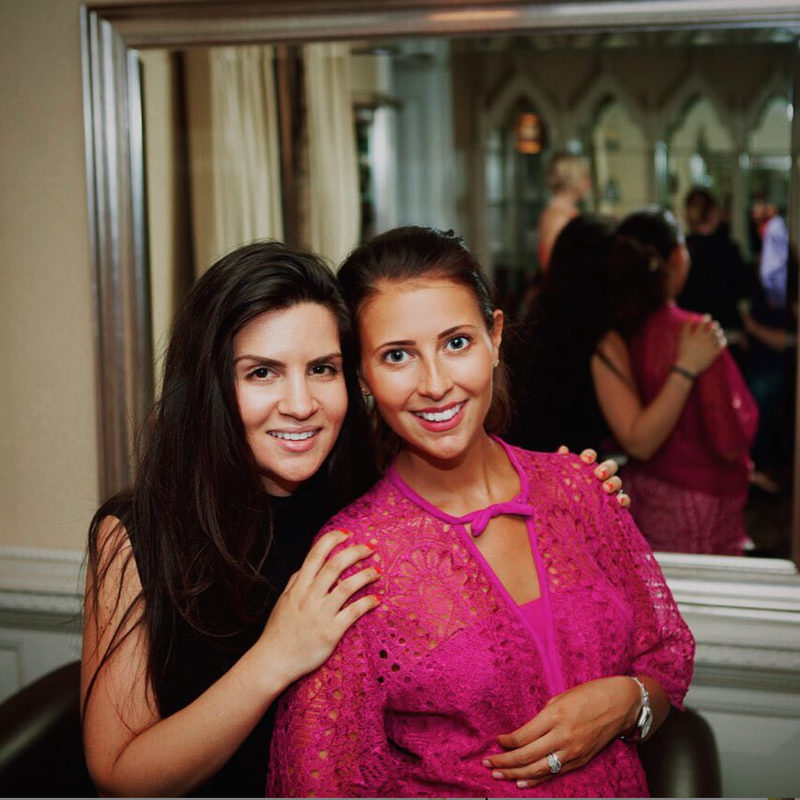 I’m Fay, by the way (the Fay-part of FayAndrea) and have decided to sporadically share my thoughts, alongside the stories of our pictures and fabulous clients, on life’s most amazing, yet challenging journey; Motherhood. I officially became a Mummy to Havana Maggie on November 20th 2015 at 10am. I realised almost instantly after announcing my pregnancy that despite creating this life with my Husband, and growing my baby single-handedly, our unborn child was quickly becoming the business of all in sundry. Infact, I have never felt as judged as I have since becoming a Mum. At moments I’ve had to remind myself that my womb and anything I grow within it are my property and therefore the opinions of others are irrelevant. ‘That’ comment about the push present got to me though. It was clear in this woman’s eyes (also a Mum) that women who have sections do not deserve to be rewarded the same as Mums who give birth naturally. My response now (fuelled with hormones [told you they’re always the culprit] from pregnancy number two) is simple, the fact a woman has created another human being should be the part we honour and respect her for. Universally all women fulfil the same task by dedicating nine months of their bodies to ensure another can grow as healthily as possible within her. She is then expected to instantly know how to deal with this totally dependent mini human the moment s/he is born regardless of how tired or uncomfortable she may be feeling. As I have stressed on the Real Mama Talk page, everything written in these posts is merely opinion created to help, not hinder, fellow Mothers. I have no medical knowledge, nor do I have any intentions of sharing negative stories to hinder women’s perceptions of Motherhood and birth. With regards to C-sections, it is noted they are considered major surgery with some countries keeping Mothers in hospital for seven days post-op to recuperate. For me, I was home within two days. What I have realised through talking to other c-section Mums- both emergency and elective- is our recovery times all vary. Some Mums will claim to have had slight discomfort post-op, whereas others say they struggled for weeks after. This in itself suggests it’s wise to just wait and see how things work out for you, that way you will not fear the worst or alternatively, have a romantic vision and feel let down. This said, perhaps bear in mind the general consensus that elective sections are far more preferable to recover from mentally and physically than emergencies for the obvious reason that an elective is pre-planned, and therefore more relaxed, whereas emergency sections are what they say, ’emergencies’, and so parents appear to find the experience more traumatic, and women more uncomfortable post-op as they have already attempted natural birth. Several factors inspired my decision to have an elective section with Havana and I’m pleased I made the decision I did. Women have asked me if I feel like I’m missed out by not giving birth naturally and my honest answer is, ‘no’, although I do wonder what it would be like. Part of me would love to give birth naturally and go home within six hours with my milk in, and not a stitch in sight, but I’m also aware there could be another scenario which isn’t quite as straight forward. I guess I’ll never know. Weighing up the pros and cons again, I have decided to opt for another elective. I am not nervous about the operation, just the recovery time as I will have a newborn and a toddler to take care of, but I’m fortunate to have a great support network who I know will help me in those pivotal first few weeks. I do advise any Mums pending sections to ensure they have support too, as it will aid your recovery. With regards to pre-section advice, I was given a lot of information by two consultants and a birth specialist prior to the operation, and cannot fault the service provided. I can also say, I was given a lot of ill-informed ‘advice’ from women who hadn’t had sections but shared their thoughts anyway. Perhaps that’s flippant of me to say actually- maybe some of their info is true- but just for the record to concerned pending Mums, I did not have any problems bonding with my baby post-op like some suggest, infact the second a screaming Havana was brought over and placed next to me, she instantly stopped crying. I was then breast feeding her ten minutes later. We went on to co-sleep for her first ten days (I appreciate co-sleeping is not encouraged) and we are inseparable now. Although my milk came in as planned, I eventually had to throw the towel in on breast-feeding after one month’s perseverance because between us it just didn’t work- but that’s for another blog. For women out there pending their first sections and wondering about my recovery, I was out of bed within 24 hours. By the end of my first week I was out and about, and managing jobs around the house, then by the end of my second I was with the family carrying Havana in her sling at a village festival. This isn’t to guarantee you will be the same, but it’s just an example. My advice would be to keep moving, even though rest is obviously crucial for your recovery. Going full circle on this topic, I’ve researched and noted many articles regarding c-section Mums who have felt like failures post-birth, mainly because of how another woman has made them feel. It upsets me, not just to think of a woman feeling like she has failed, but moreover that another woman who should be supportive, would encourage another Mum to feel this way. My hope is from reading this blog women will be reminded that our bodies and children are individual to us, and our decisions should not be tackled, unless by professionals, who of course may have good reason to question otherwise. Likewise, it is really important to remember how personal pregnancy and childbirth is, and therefore we should be mindful of questioning women on their motives for delivery choices. Perhaps there may be reasons they are not comfortable with sharing. 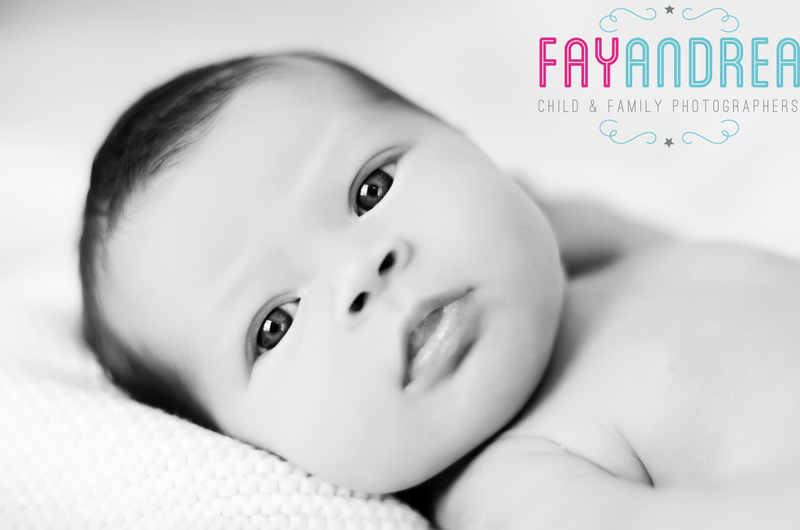 It’s been an exciting first year at FayAndrea Photography: Establishing a partnership and fabulous friendship; meeting and working with so many beautiful babies and families has been a true blessing. 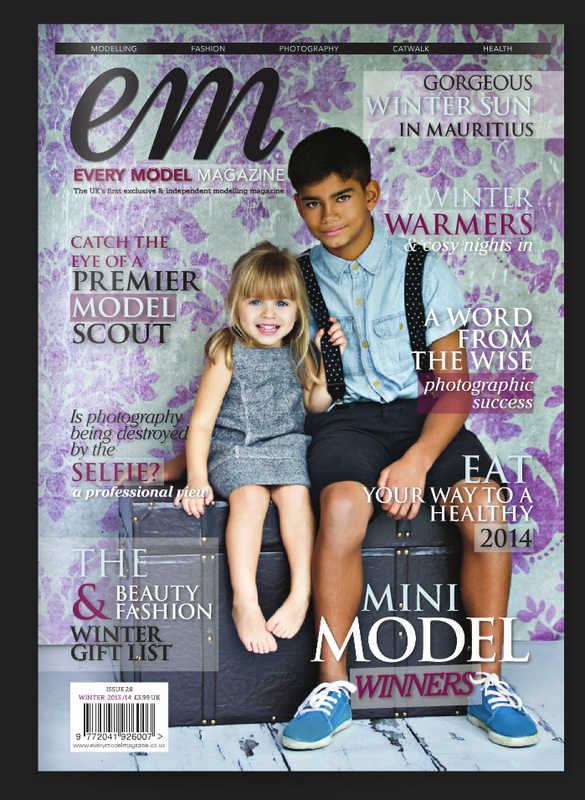 To top it all off though, our first cover shoot has been a major triumph for us both and so we would like to say, a HUGE ‘thank you’ to Every Model Magazine for this fantastic opportunity and honour, as well, of course to our beautiful models, Maia and Zidane! Wishing you both tonnes of model luck in 2014! Editorial sessions are one of our favourites- it gives us a chance to showcase all of our skills and work with some of our cutest clients. 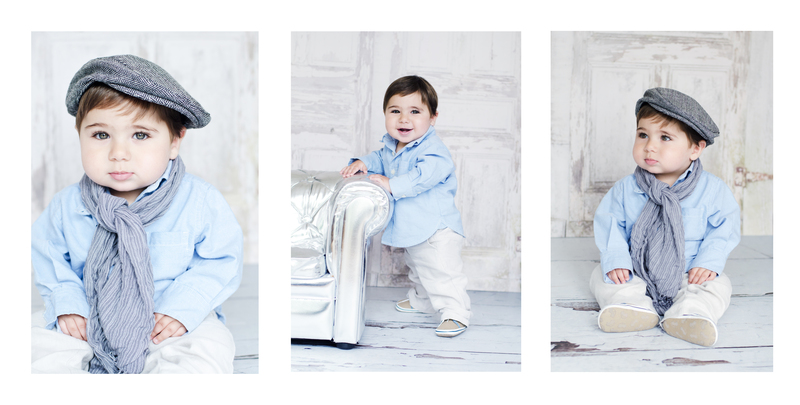 This shoot with Baby Leo had us cooing constantly- check out his super cute outfits! Our clients say, they select FayAndrea for its unique style and use of props but from time-to-time we think there’s nothing more beautiful than the simplest of photography. Love this shot of a newborn in their most content form, staring in to the camera, developed in to black and white.